Snowblind, the debut English language mystery by Icelandic author Ragnar Jónasson may not have an official domestic release until later this year, but that is not stopping die-hard fans of the genre from hunting down a copy of the novel. Translated to English by Quentin Bates, Snowblind is certain to be the start of a long career for Ragnar Jónasson. In fact, the Dark Iceland series already totals five novels in its native language and the second English title, Nightblind, will be released next year. Snowblind is probably about as strong a debut as we can expect to see this season. 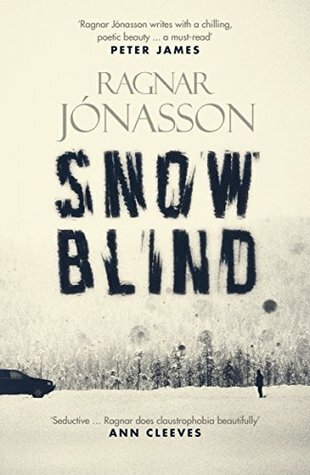 Ragnar Jónasson uses the tropes of the traditional mystery, but because of the Icelandic setting, Snowblind feels very modern and relevant. This is a book that will appeal to the staunchest supporter of Dame Agatha Christie as well as fans of the darker Scandinavian crime fiction reaching our shores over the last few years. This may seem like a dichotomous pairing, but it is a testament to Jónasson talent that his appeal is so widespread. In Ari Thór Arason, Jónasson has created a series character readers are going to immediately bond with. Ari has enough foibles to keep the series running for multiple volumes even before you throw in the murders he stumbles upon as a result of his new job as policeman in the isolated location of Siglurfjördur. His personal life is in a state of flux and every option leads to new hurdles. Throwing himself into his new job seems the best choice for Ari Thór at this point. In Snowblind, the central mystery involves a well-known Icelandic writer who falls to his death down a flight of stairs at the local theater. While investigating this possible homicide, Ari Thór and his mentor must also deal with the discovery of a half-naked woman found injured and exposed in the snowy landscape. As readers will expect from a traditional mystery, the pool of suspects for each case will be quite small, but also full of secrets and hidden agendas. Similar to the way that Ann Cleeves has positioned the Shetland Islands and Louise Penny has created Three Pines, the Icelandic setting Jónasson presents becomes as important as the people with which he populates it. 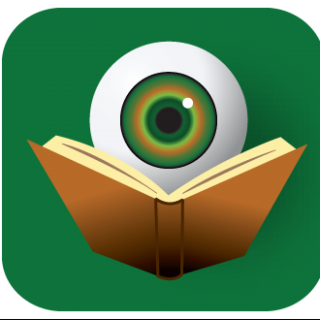 Twenty-four hour darkness imbues the whole reading experience with a sense of menace and claustrophobia. Just as Ari Thór feels a tightening in his chest with every breath and startles with each unknown noise, readers will experience echoes of his emotional and mental state as they turn the pages. The short chapters and abbreviated length keep progress quick and give readers a false sense of simplicity surrounding the proceedings. As it turns out, there is nothing simple about Jónasson’s Iceland. The mystery itself is a complex one with strands that reach back into the past, even as the current day financial crisis of the country influences the actions of all involved. Ari Thór is very much an outsider and this only further enhances the reader’s relationship with him. The choices he makes in Snowblind are certainly going to influence his standing in the community moving forward. While the main questions are answered by the end, Jónasson leaves enough loose ends to keep readers wondering about future volumes of his story. If the rest of the Dark Iceland series is as accomplished as Snowblind, Ragnar Jónasson’s name is poised to become as common place as that of Stieg Larsson’s. Don’t be fooled into thinking Jónasson is a mere imitation, however. By deconstructing the Golden Age traditional mystery within a foreign setting, Ragnar Jónasson has practically created his own genre. For lack of a better term, let’s call this Cozy Noir. In case you don’t want to wait until October, The Book Depository does have Snowblind ready to ship to you immediately. Believe me when I say that you want to read this sooner rather than later. Be part of the conversation from the very beginning.